Our best tips to and tech news! 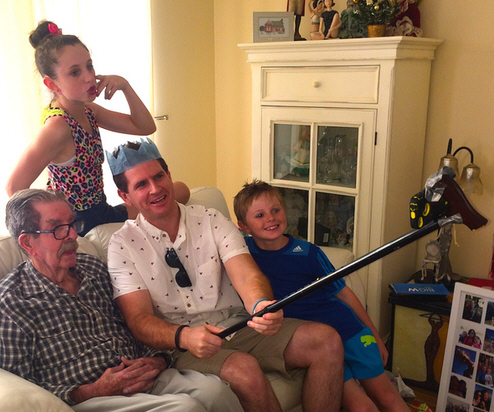 It’s very hard for me to mention selfie sticks and not become rude. 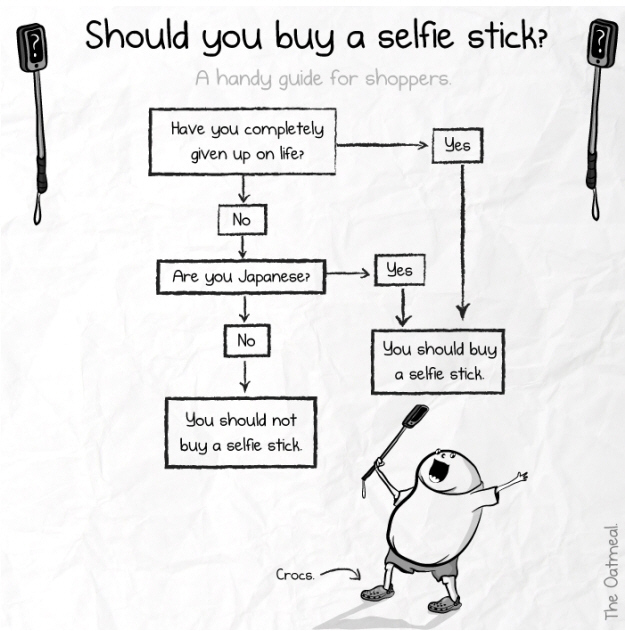 But there is hope , as selfie sticks are now banned in major venues in England and South Korea. Yey! Golf club or selfie stick? I can’t decide! 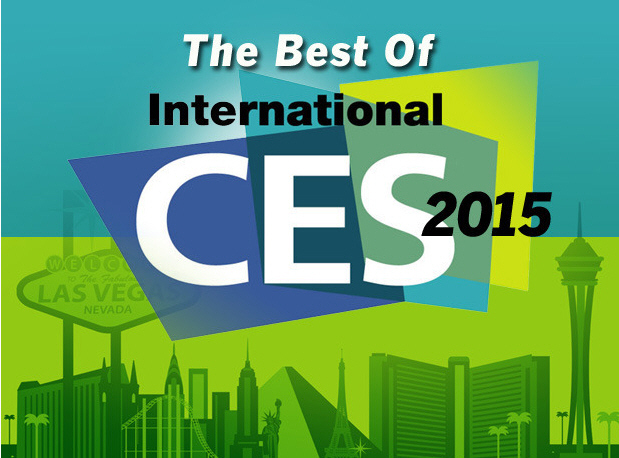 I’ll be honest: I didn’t go to the Consumer Electronic Show this year. I did go a few years back and my feet still haven’t forgiven me for this. But, eventhough I couldn’t squeal with excitement at the sight of every smart watch, TV screen and other 3D printers, here are this year’s CES best findings, for every member of the family! 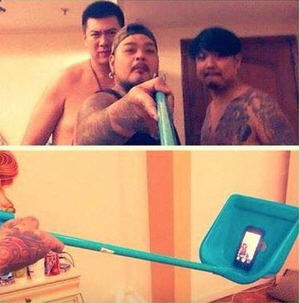 If you like taking selfies, but are way too cool for a selfie stick (and I hope you are. 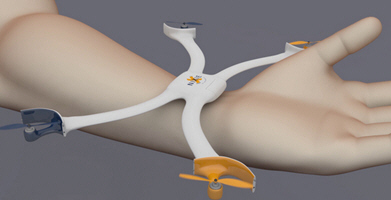 Selfie sticks make people look like idiots, this has to be said), then Nixie is made for you. This prototype activity tracker actually is a belt buckle, but it’s a clever one (though hideous, but you can’t win all the time, can you?). Belty (that’s its name) measures steps and connects to your phone via Bluetooth to feed this data into an app, which acts as a virtual fitness coach. 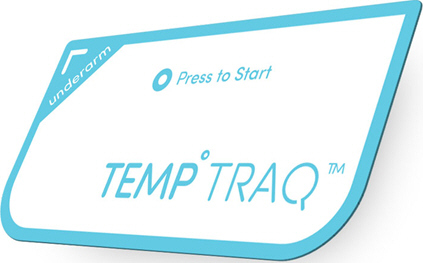 But it ‘s also clever enough to vibrate when you’ve been sedentary for too long (in other words, when you need to move your *ss) and, more importantly, it can keep tabs on your changing waist measurement, which can be a good indicator of your risk of developing weight-related conditions. And last but not least the belt can tighten or loosen itself whenever you sit down or stand up to keep you as comfortable as possible at all times. A dream come true for some of you, right? The Gizmopal, by LG is a real time GPS locator for children to wear around their wrist. 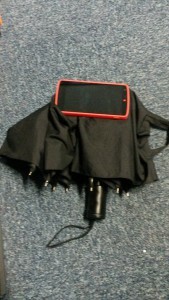 It also provides two-way communication between parents and kids who are too young to manage their own cellphone. No more losing your kids at the mall! If you’d told me one day I would be green with envy over a fitness and sleep monitor, I would have laughed very hard. 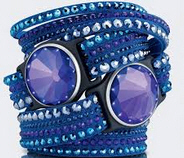 But with Misfit teaming up with Swarovski, jewelry finally meets wearable tech and my bank account meets bankrupcy. I’d rather have to watch one full episode of the Real Housewives of Atlanta rather than have to take a baby’s temperature. Every parent knows what a daunting task this is. But Temptrak has come to the rescue with a thermometer for babies in the form of an adhesive bandage that you place under the arm. 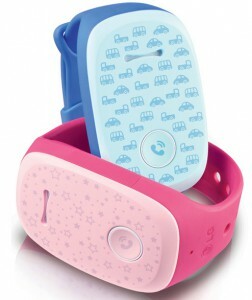 The patch is a Bluetooth-connected sensor that tracks the child’s temperature continuously, with alerts available via smartphone. 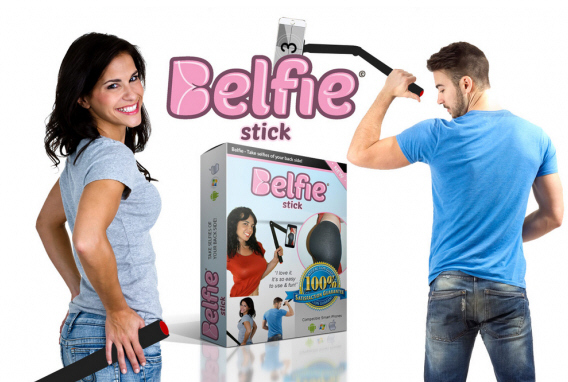 Someone please sue them for not inventing this SOONER! The Motorola Scout 5000 is a kind of GOPRO that lets you follow your dogs whereabouts. 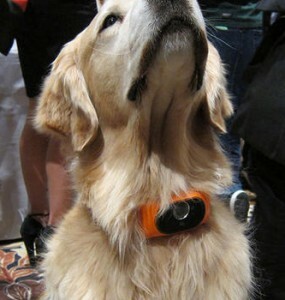 The high-tech collar tracks dogs through GPS and has Wi-Fi that streams video to a smartphone app. You can even talk back to your pet, in case he or she is in a stressful situation (or if you want it to fetch your slippers). Now aren’t you glad you didn’t have to walk miles and miles at the CES and let me do the hard work? Is there a better time to watch family movies than the Christmas holidays? Can you picture yourself in a few days time, on your sofa with your kids/dogs/popcorn bucket by your side, enjoying a good classic Christmas movie on your TV? So you’re going to make/rent/buy some DVDs for the holidays? Your family/dog/popcorn bucket and yourself deserve better: you deserve the best! This year, you’re going to step up your game. No more DVDs! No more standard, average image quality: Santa, the Elf, James Stewart and everybody else (even the Grinch) will get the Blu-ray treatment! With this program, you can convert and burn any video type to Blu-ray format and get exceptional image quality! A great selection of classic movies, like The Polar Express, Home Alone, It’s a Wonderful Life (colorized version) , The Elf, The Nightmare before Christmas can be downloaded for free and legally on this streaming website, with our free VSO Downloader. Then simply insert the video into ConvertXtoHD and press convert! You can do this as many times as you want with the 7 day free trial (no watermark). Did I say “free” enough times ? Your eyes/family’s eyes/dog’s eyes and your popcorn bucket will be thankful! 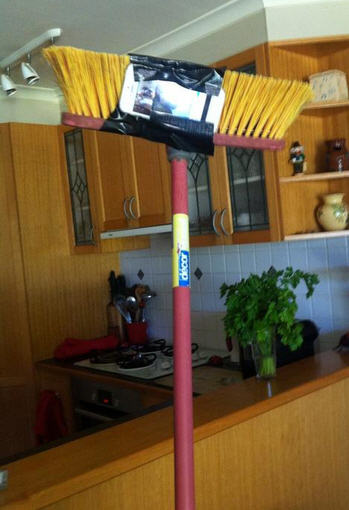 The release of the Iphone 6 has gotten the world very excited. 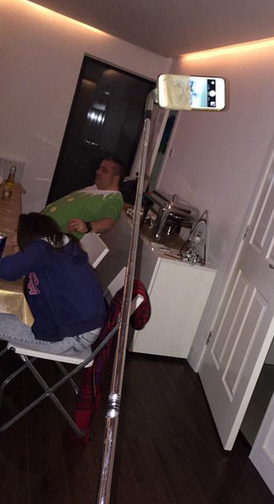 A little too much perhaps…. 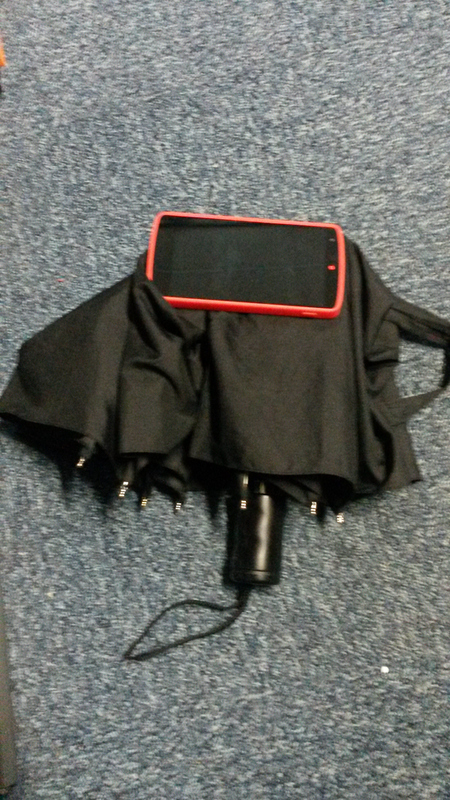 Don’t drop your brand new Iphone in front of a journalist after queeing 12 hours to buy it. You’ll look like a fool and will have to go back to the queue to get a new one. Don’t put it in the microwave. Seriously: don’t.You’ll only set fire to the damn thing. 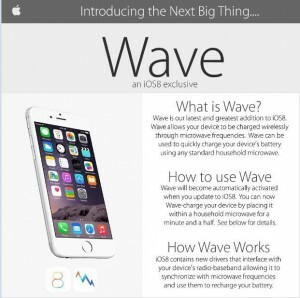 Yes the Iwave feature is an hoax. I don’t blame you, a tiny part of me wanted to believe it. 3. 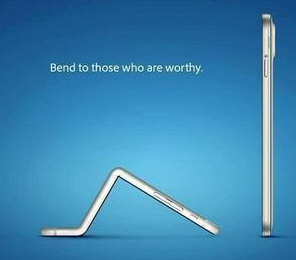 Don’t put your Iphone 6 in your back pocket all day. (Especially if you’re super skinny like me (LOL) and your backside is not a cushion). 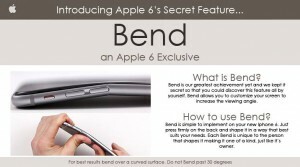 It’ll bend. And no, it’s not an official feature either. Yes the Iphone 6 has a big screen. But you do not, I repeat, you do not, need a thumb extender to reach for the whole screen. What you CAN DO however is take advantage of this big screen to watch your videos. Our VSO Video Converter will convert any video to the new Iphone 6 and Iphone 6 + formats. Yay !!! !